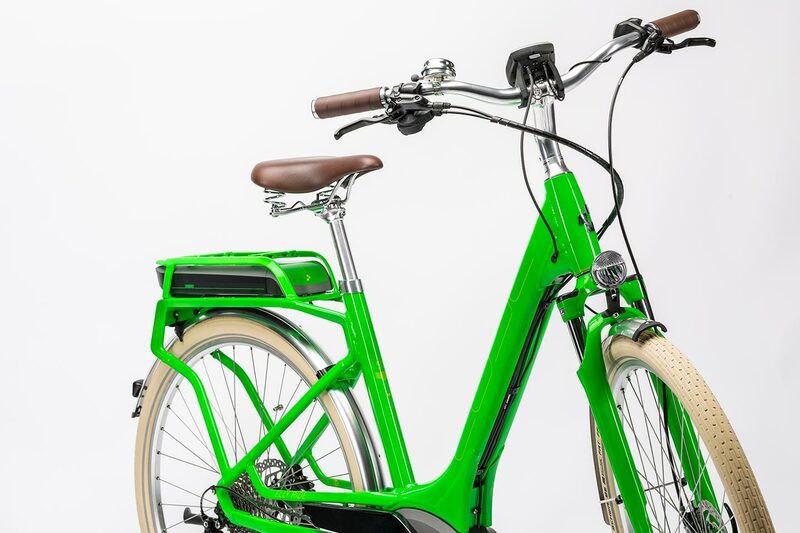 Elly Ride blends envrionmentally-friendly e-mobility with a refreshing new design that you'll love. 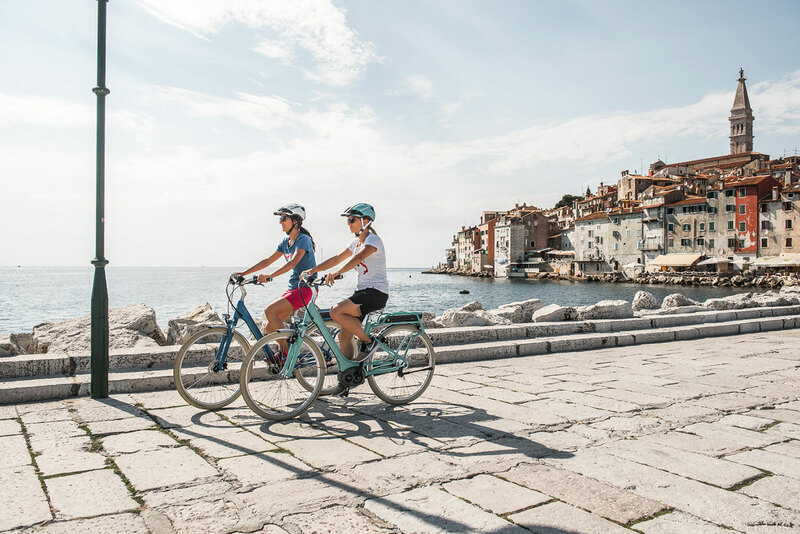 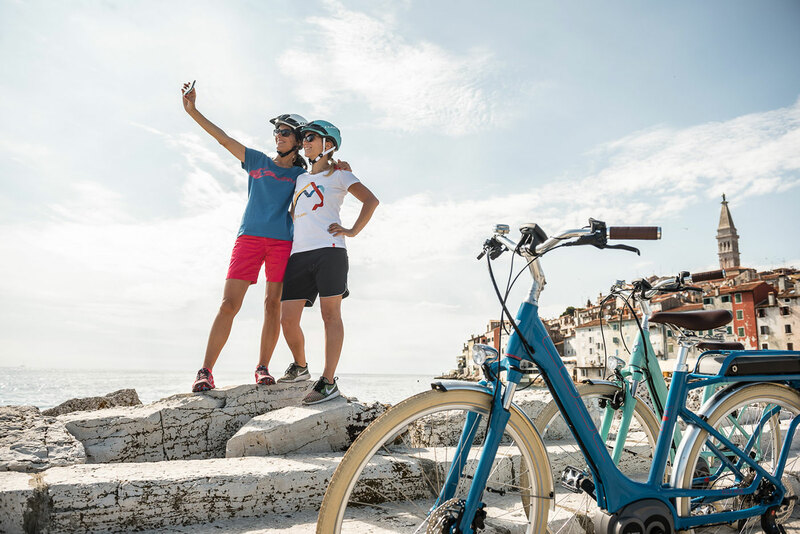 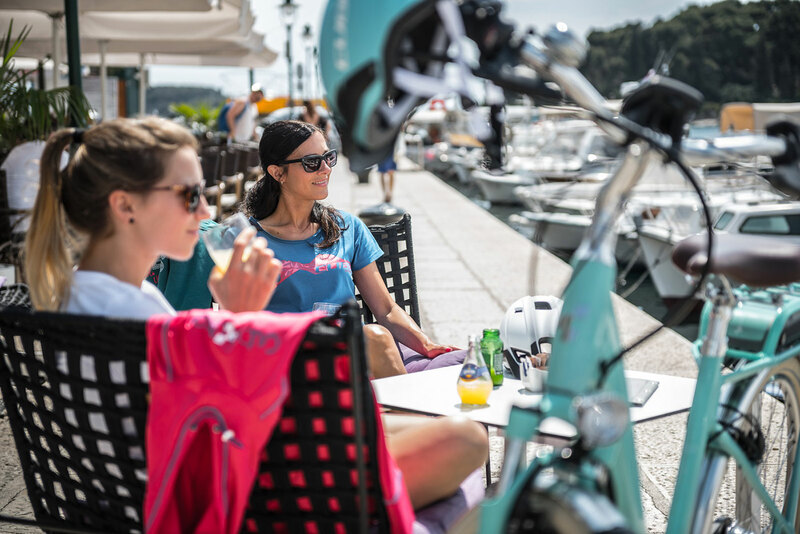 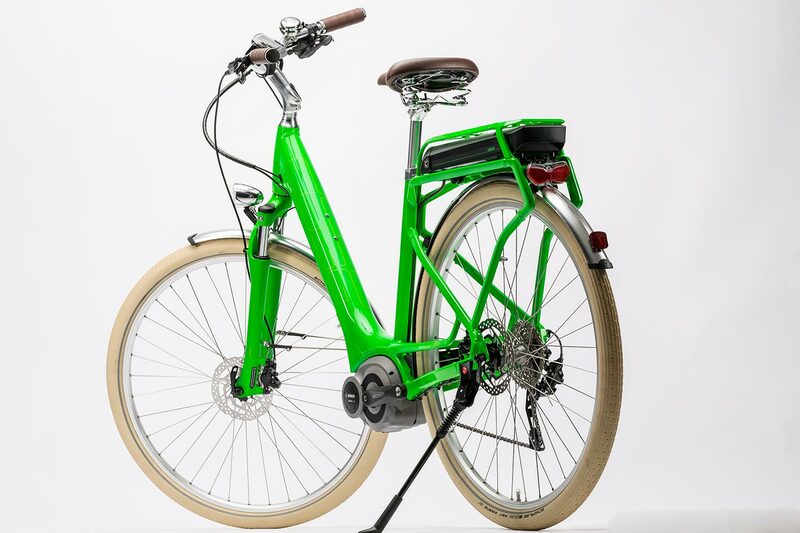 E-bikes have never looked this good - you won't want to stop riding! 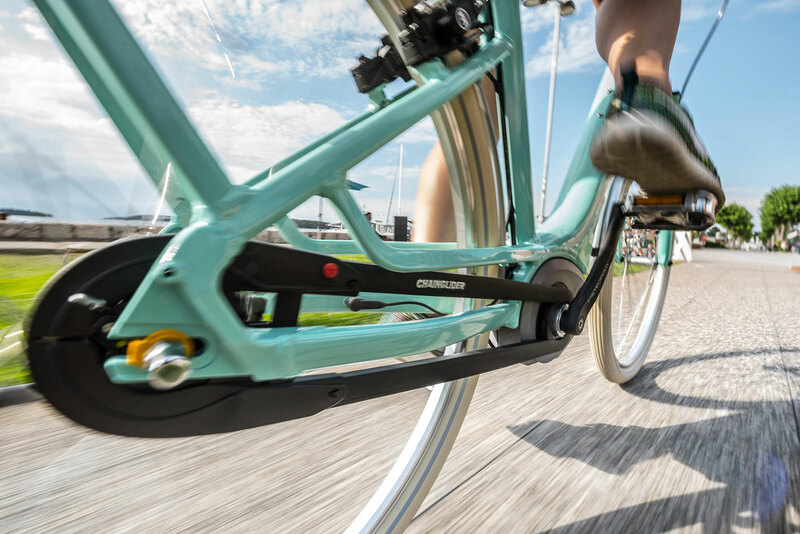 The cleverly thought out frame and high quality features provide everything that you need. 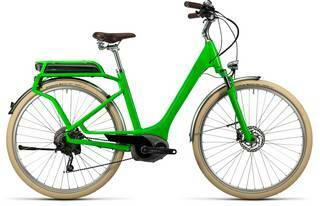 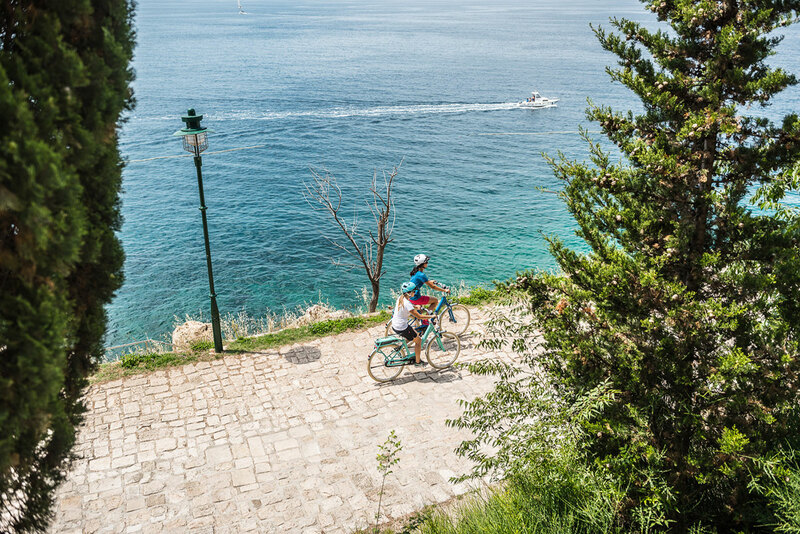 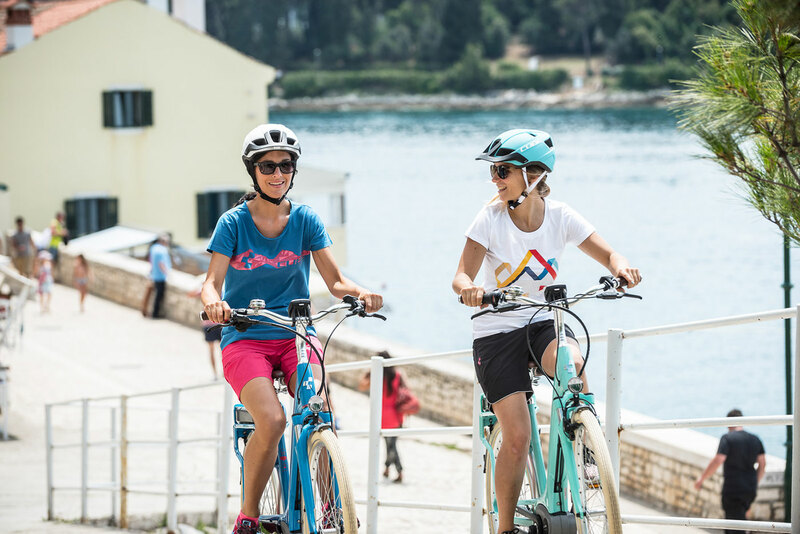 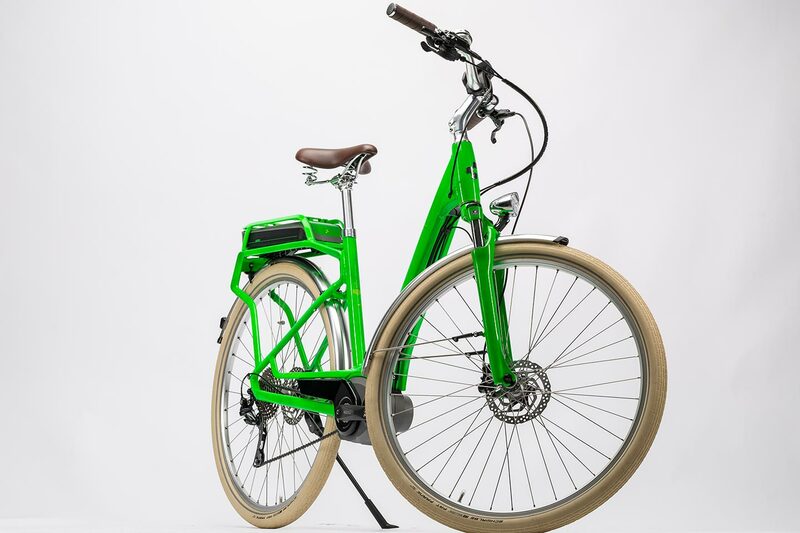 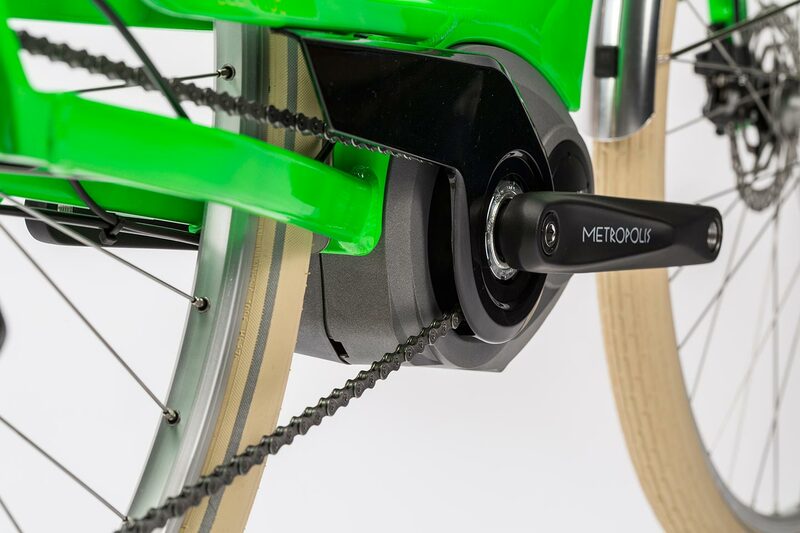 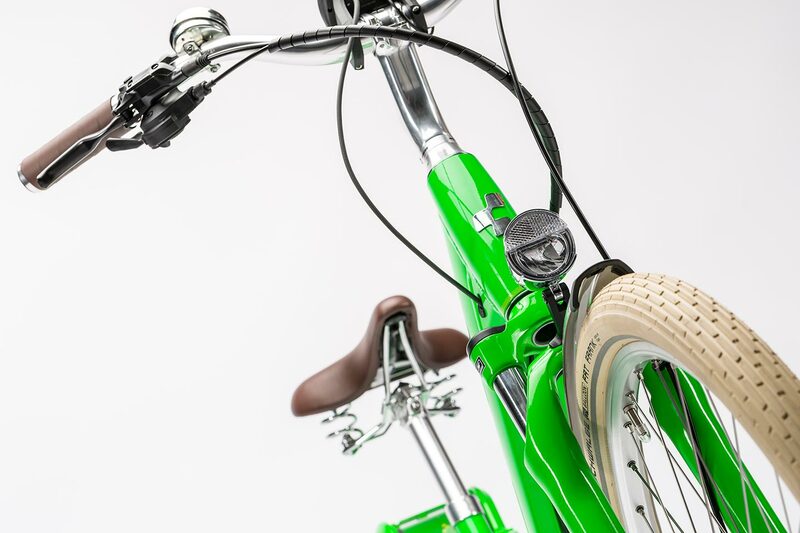 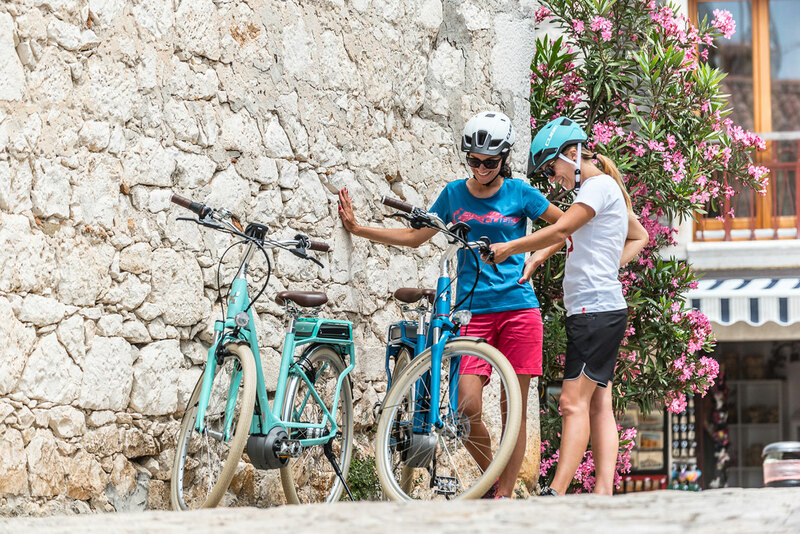 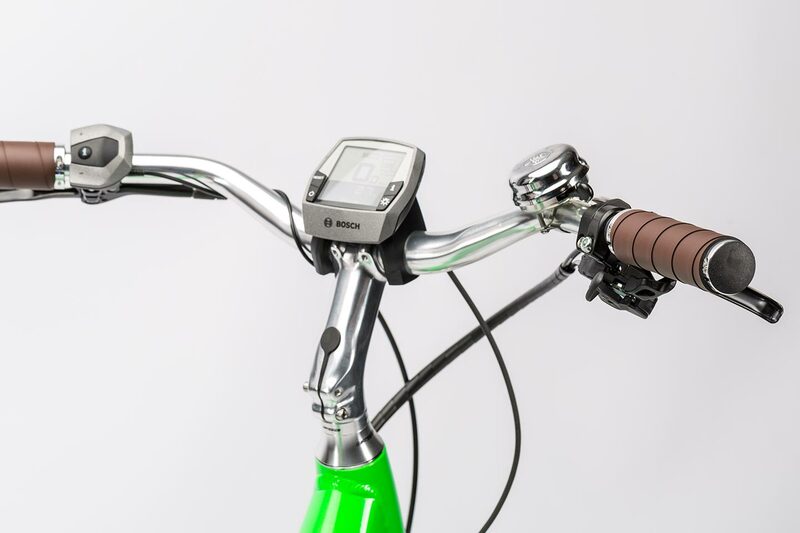 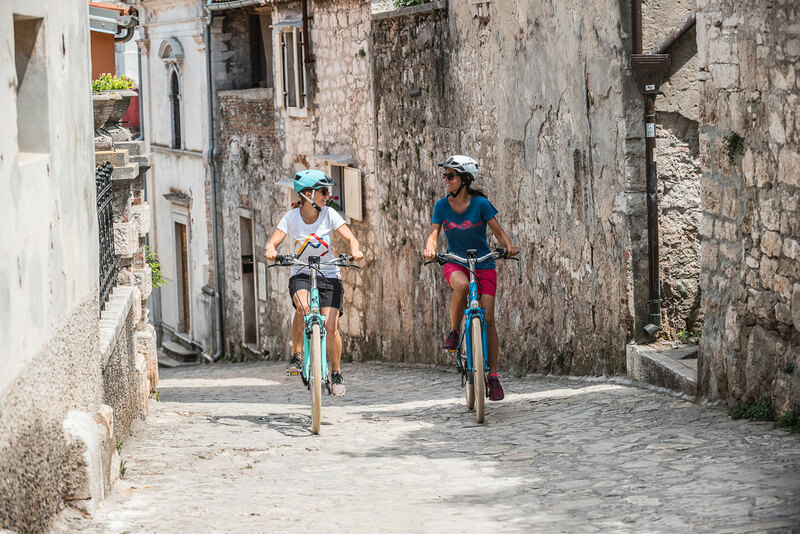 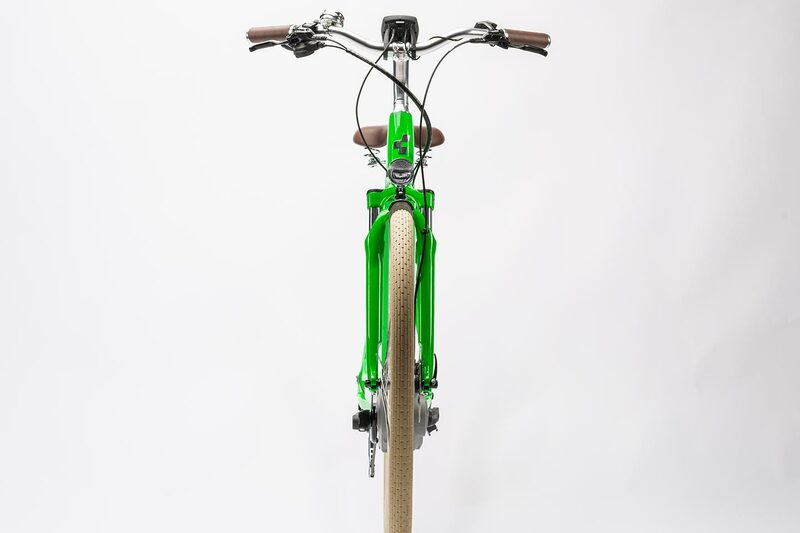 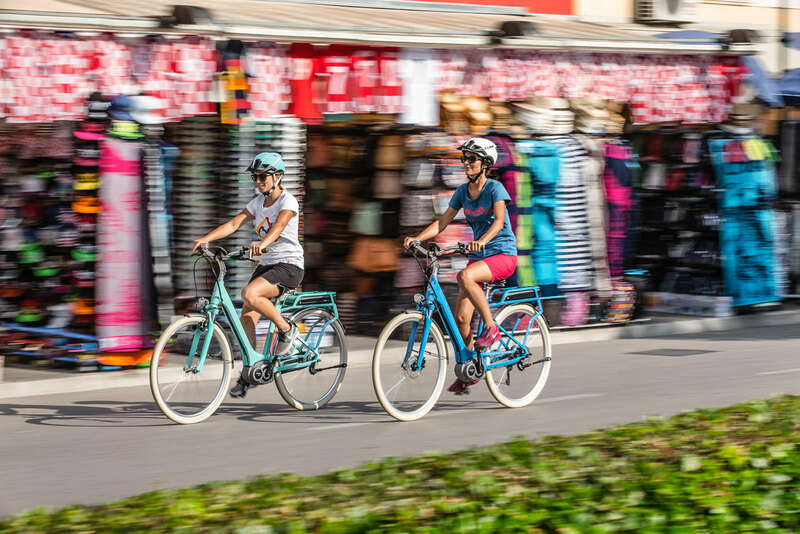 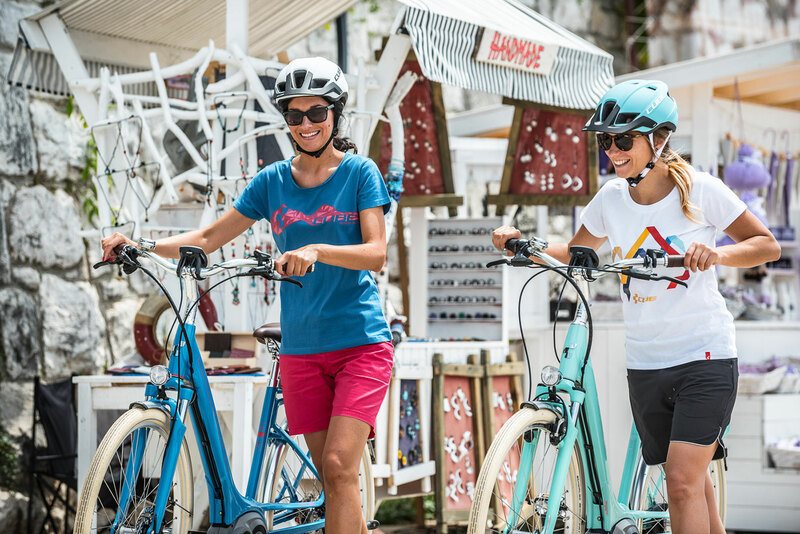 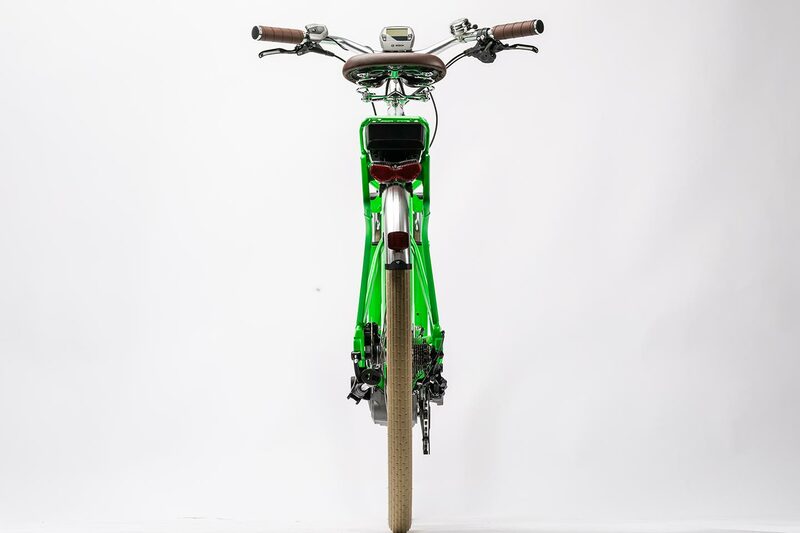 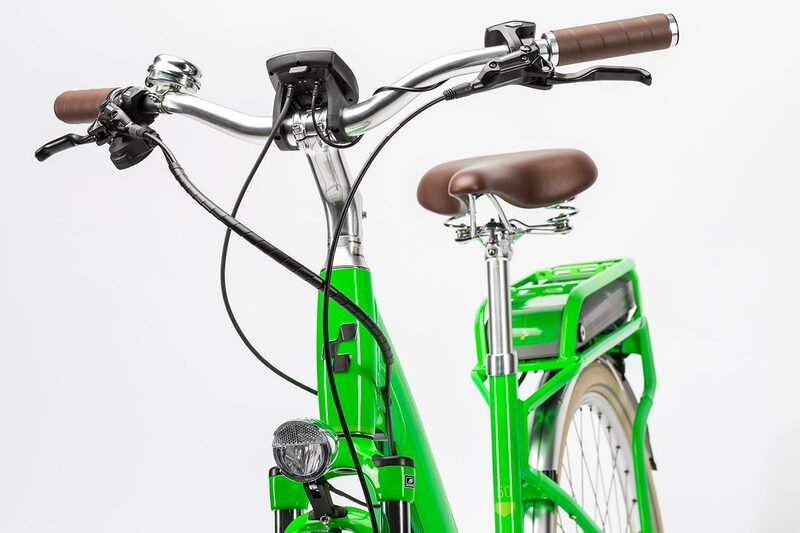 And the bright green or sky blue colour options of this step-through e-bike are bound to put a smile on your face - and put you in the mood for riding. 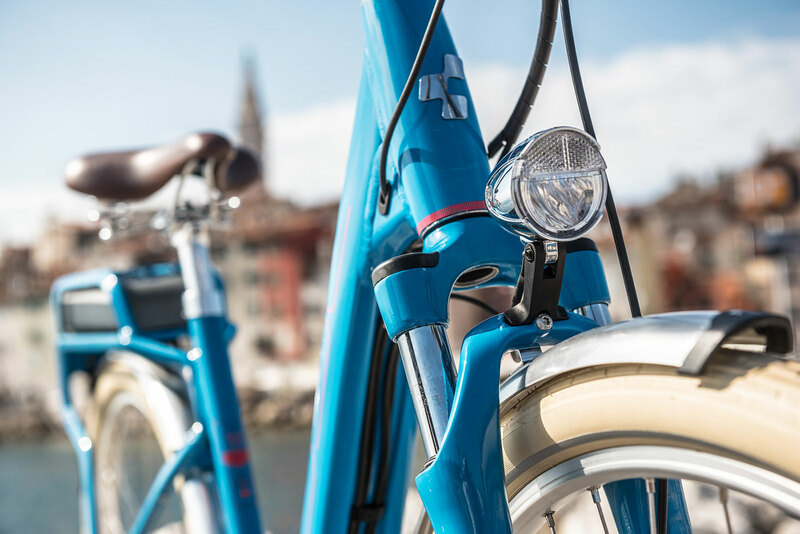 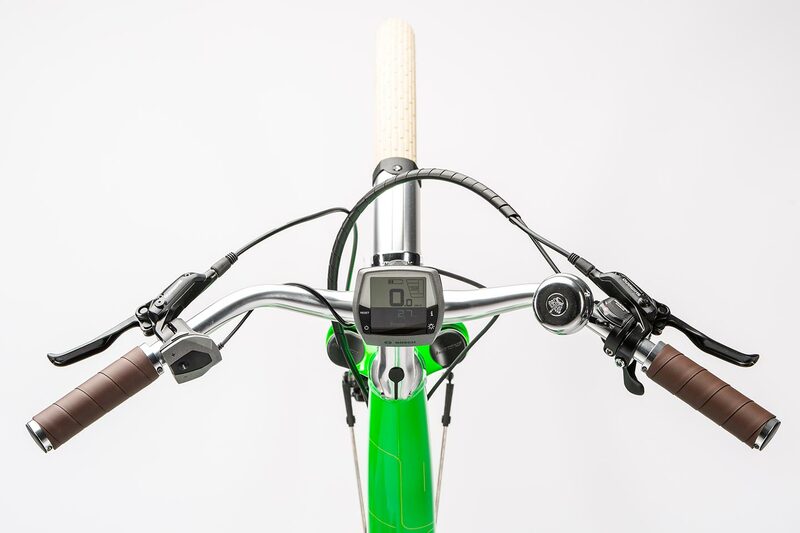 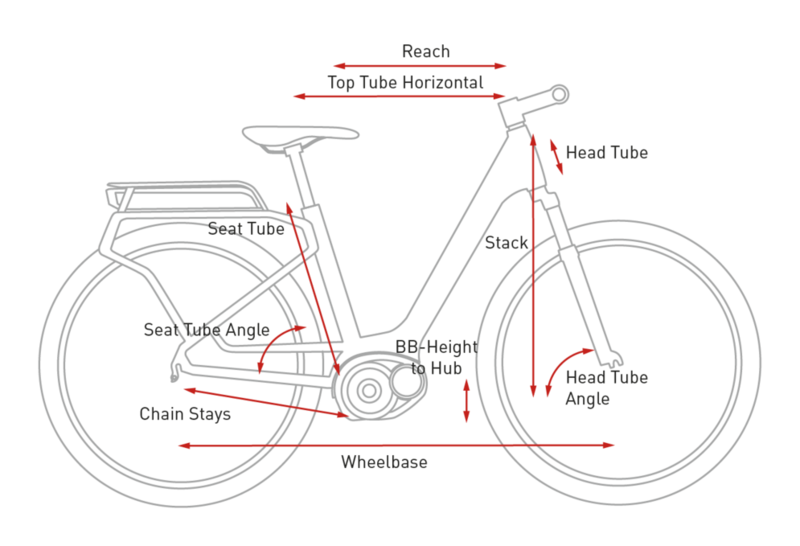 Every detail of the Elly Ride frame is perfectly tailored to the Bosch System. 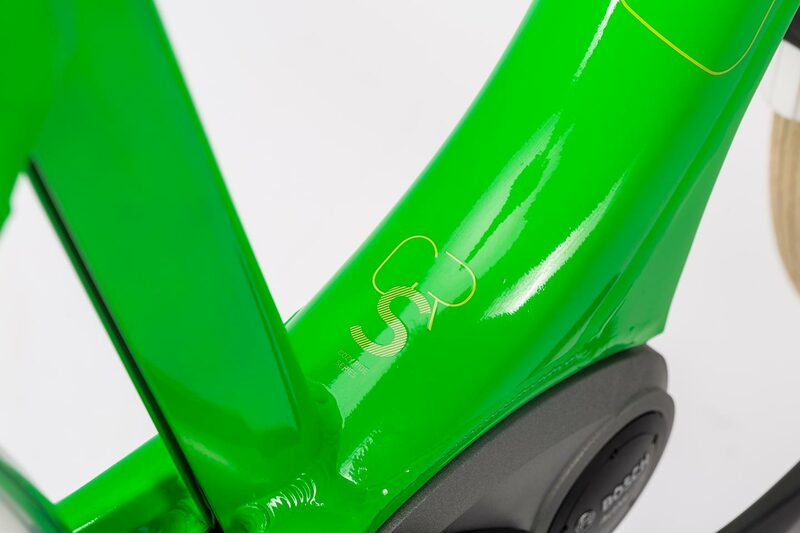 The hydroformed downtube, double chainstay and double chamber seat tube work in harmony with our Efficient Geometry System (EGS) to provide a comfortable ride position and make the most of your pedalling. 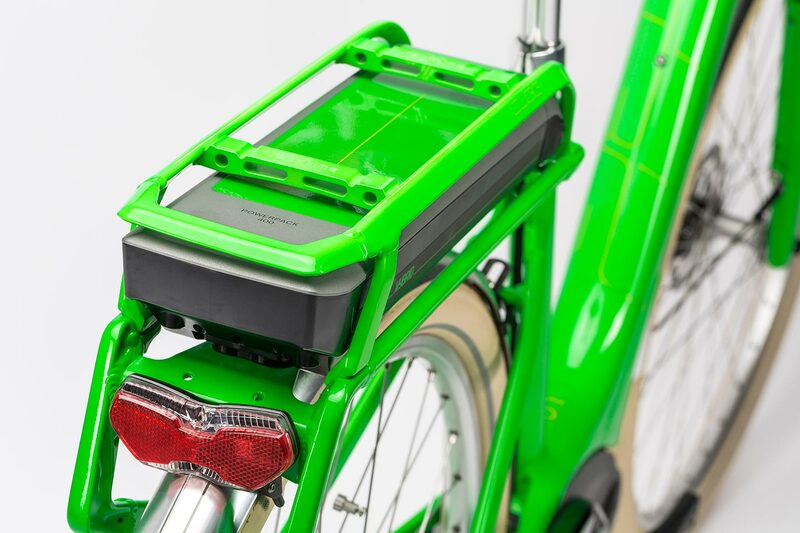 The innovative integrated modular luggage rack (IC) is flexible and stable - and is, of course, compatible with Racktime. 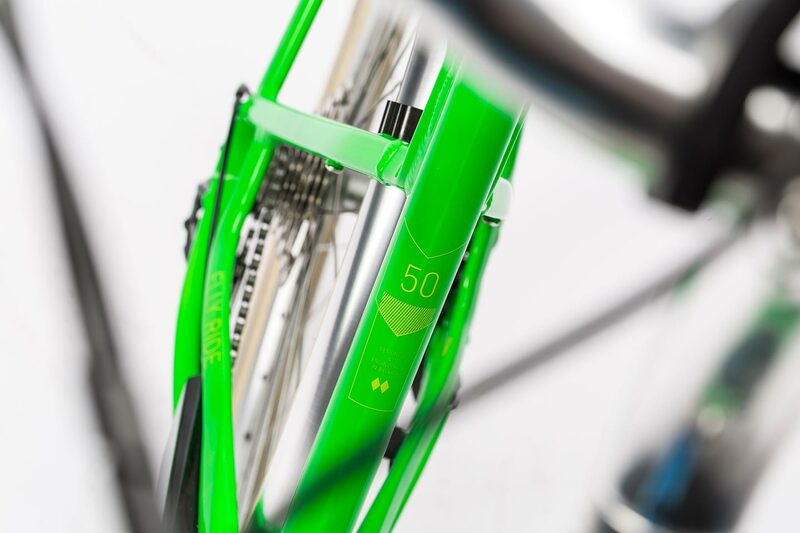 Design and function combined, perfectly. 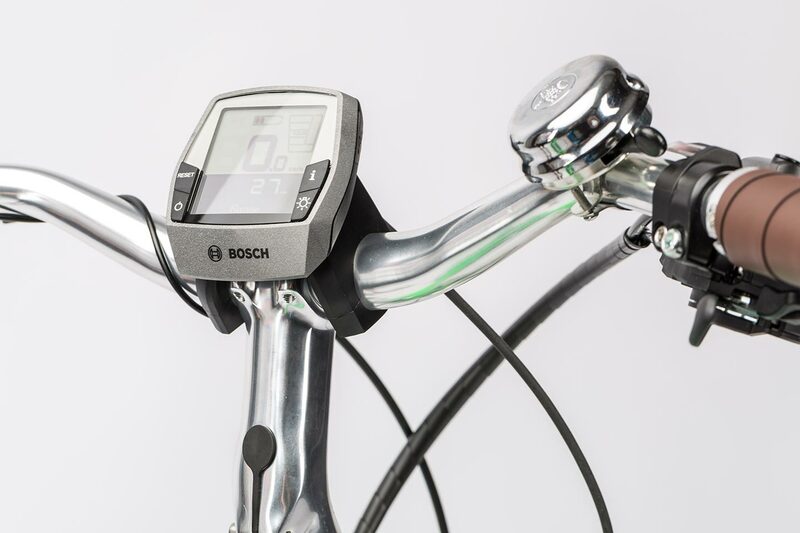 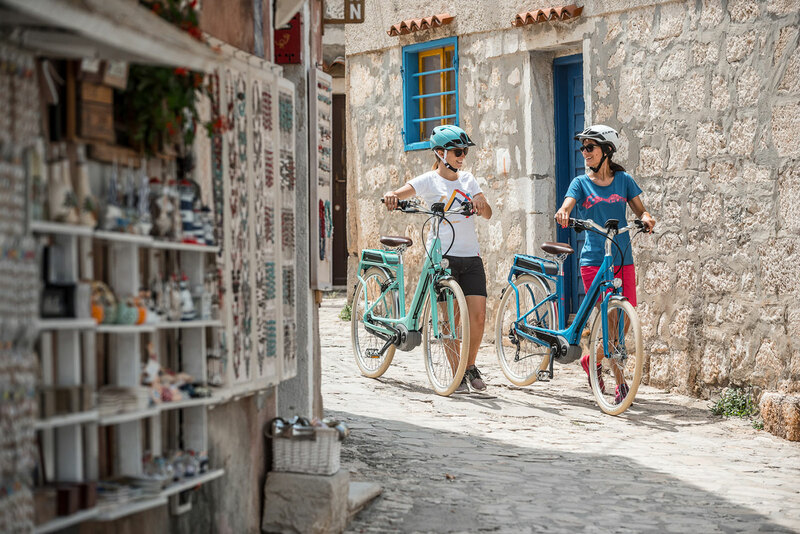 Bosch's Active Line System - with the large 400Wh battery or optional 500Wh battery upgrade for more range - works with the Shimano Deore 10 gears, hydraulic Shimano BR-M355 brakes and Suntour NEX suspension fork to deliver long-term efficiency, easy gear shifting, reliable brake performance and smooth comfort. 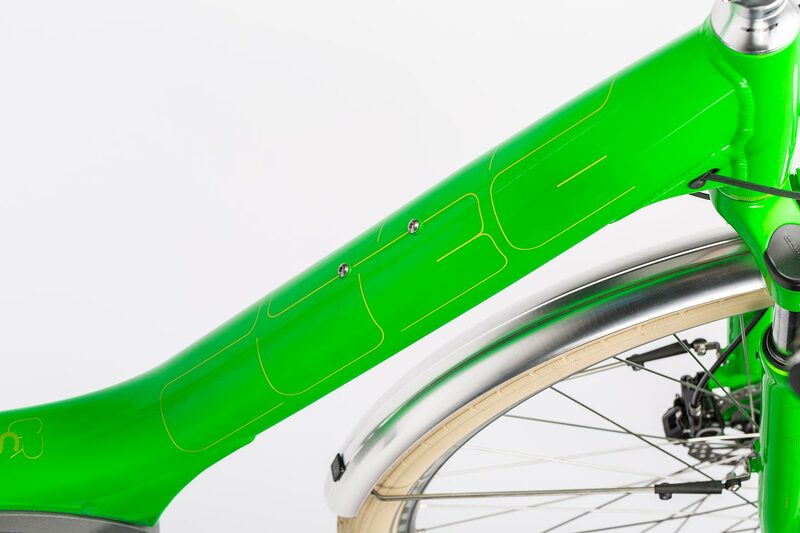 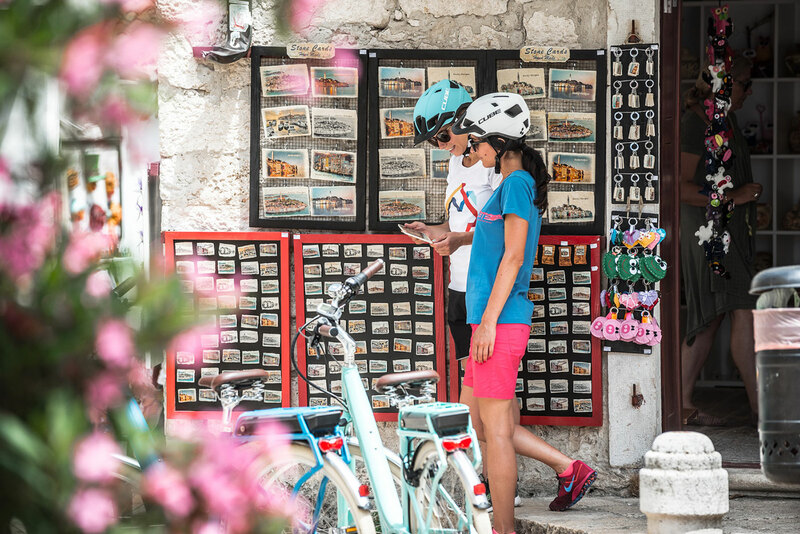 In terms of looks, we've incorporated the retro styling cues that have made our Cozy Ride Series such a hit - chromed fittings, retro Trelock lights, a brown CUBE Comfort saddle and colourful Schwalbe Fat Frank balloon tyres.